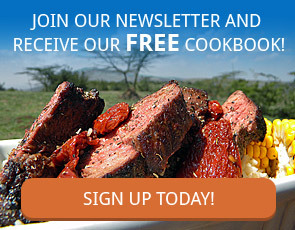 Clients who travel with us through Ethiopia inevitably fall in love with her charm, history and hospitality. 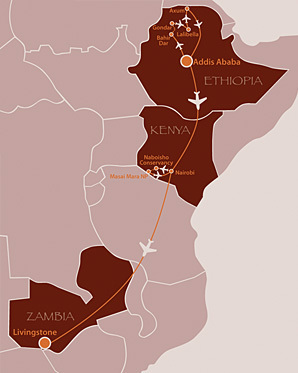 This flying holiday visits the famous historical sites of Ethiopia, including Lalibella, Gondar, Bahir Dar, Axum and Addis Ababa. 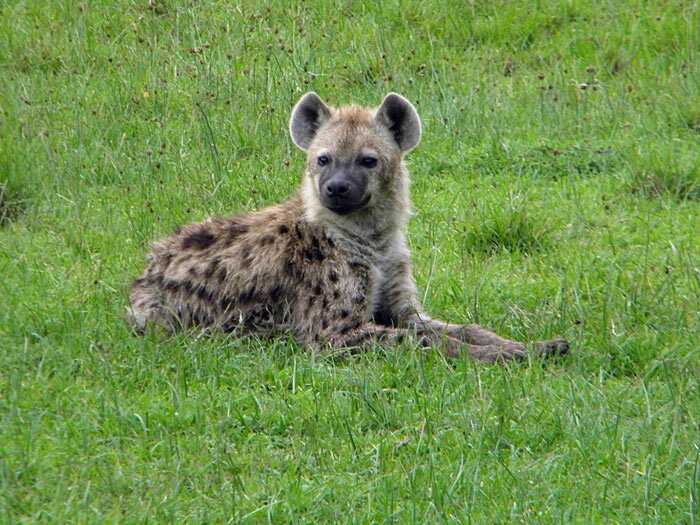 From majestic Ethiopia we continue our flying holiday in Kenya, the heart and soul of African safaris, where we visit the Masai Mara National Reserve for 2 full days of game driving and gazing at giraffes, wildebeest, cheetah, elephant, lion, zebra, topi, warthog, bat eared fox, baboons, eland, genet, hartebeest, hippopotamus, impala, ostrich and rhinoceros to name a few, Our final destination is the mighty Victoria Falls between Zambia and Zimbabwe, with all her sheer power pumping millions of litres of water into First Gorge below. 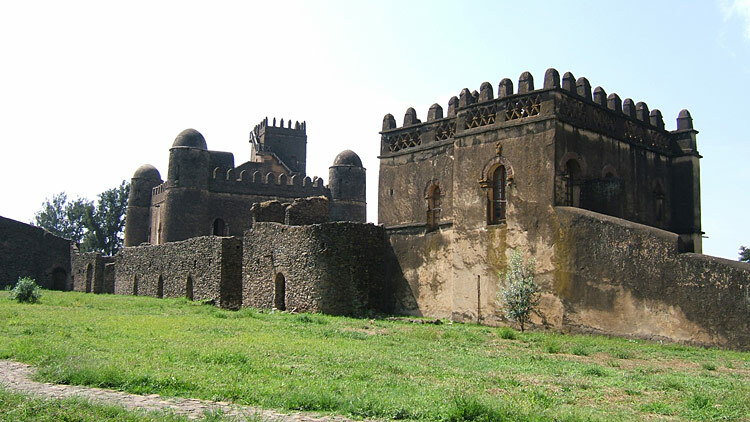 The town of Gondar is home to several royal castles of bygone years including the Royal Enclosure (Fasil Ghebbi). 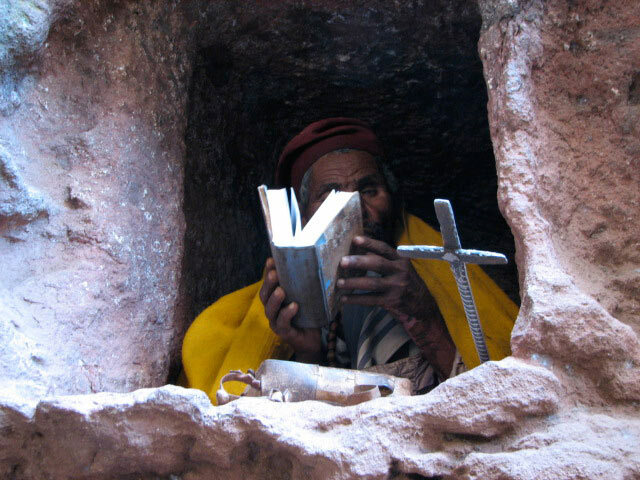 Take in ancient history and early Christianity in Axum as we tour the Church of St Mary of Zion believed to be home of the Ark of the Covenant, palace and tomb of King Kaleb and King Remhay. Taking a short flight from Addis Ababa over the extraordinary mountain ranges our journey of Ethiopia continues to the lake-side resort town of Bahir Dar. 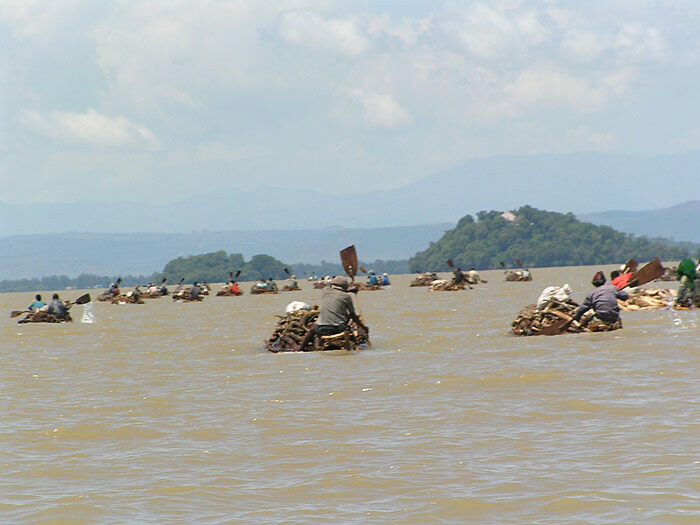 We board our boat on Lake Tana, and step back in time as we explore 14th and 17th Century monasteries and learn about the intricacies of early Christianity from resident priests and monks. 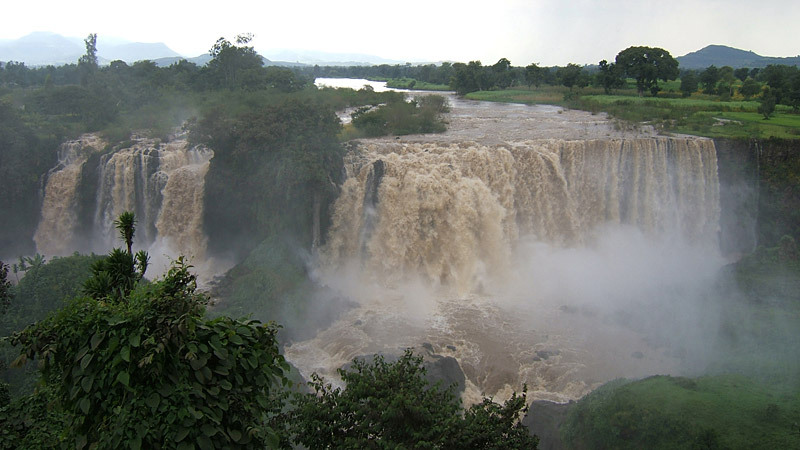 In the afternoon we continue our journey to Blue Nile Falls, the largely unknown source of the Blue Nile River. 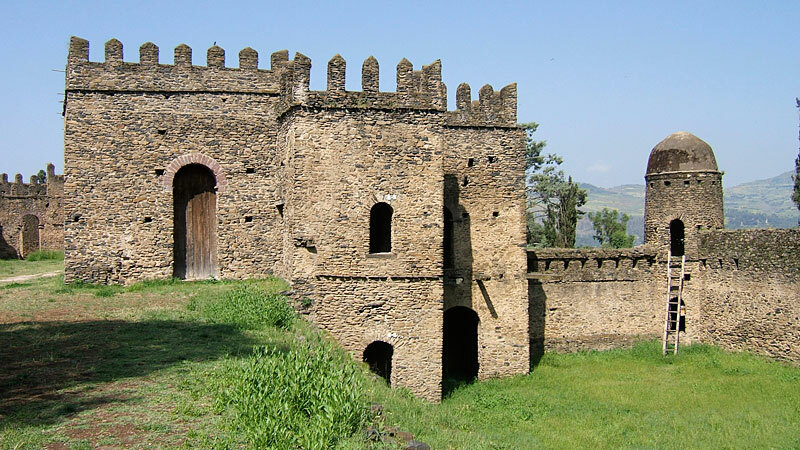 We travel by road to the “Camelot of Africa” thus named because of the mountainous terrain, narrow cobbled stoned streets and the Royal Enclosure overlooking the 17th century town of Gondar. 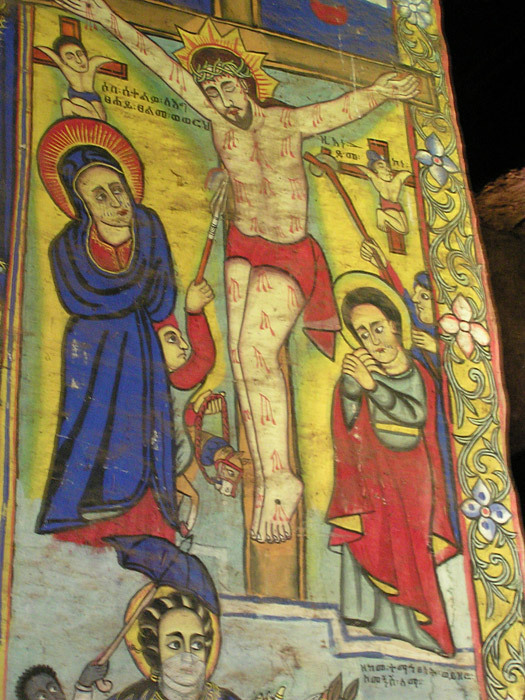 We explore the town including King Fasiledes Bath, Debre Selassie with intricate murals and Mentwab Palace. 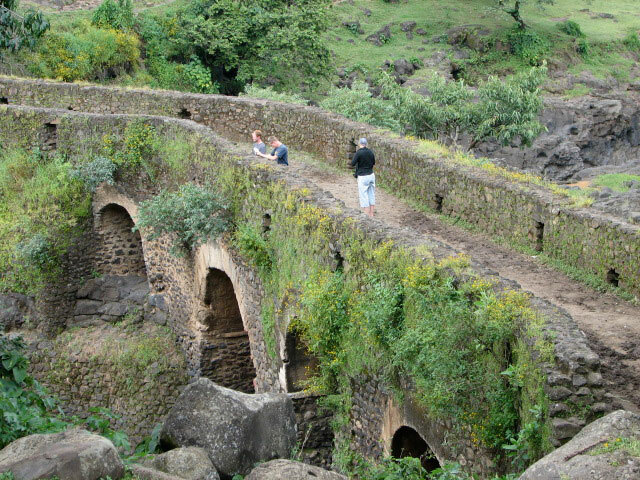 The only way to truly appreciate such a diverse country like Ethiopia with an incredibly rich centuries old history is with a local guide. Once again flying over the mountains to Lalibela, Ethiopia’s most religious town where over 10% of the population are priests. 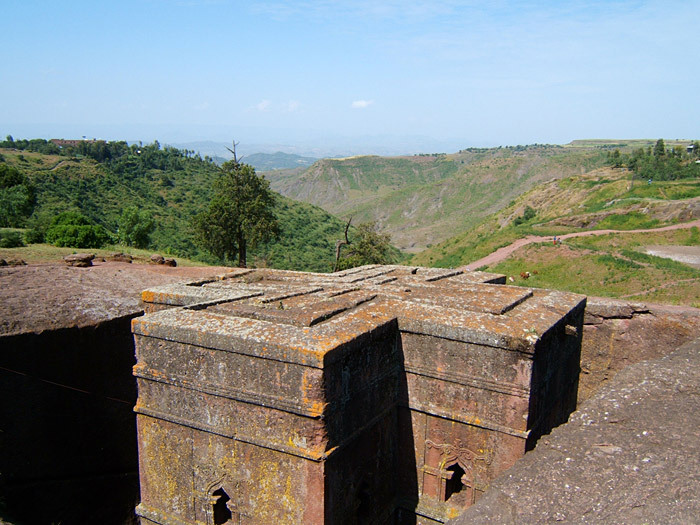 Lalibela is famous for 11 churches carved out of rock in the 12th Century commissioned by King Lalibela who wanted to recreate the holy land of Jerusalem in Ethiopia. 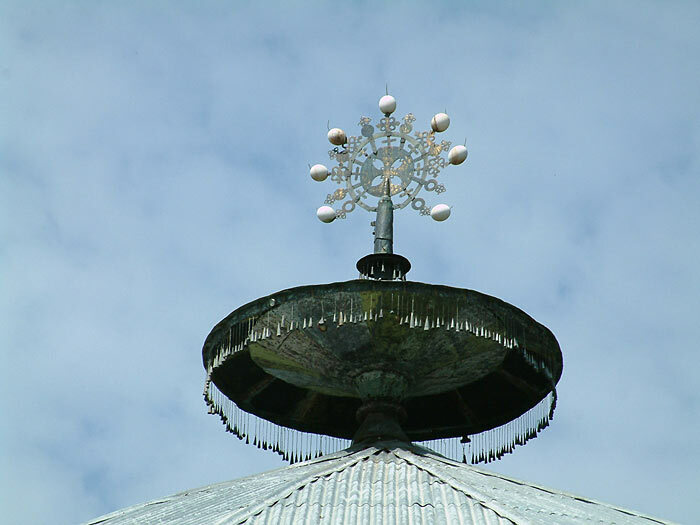 We tour this sacred area viewing these incredible structures while our expert guide explains the history and meaning behind each church. 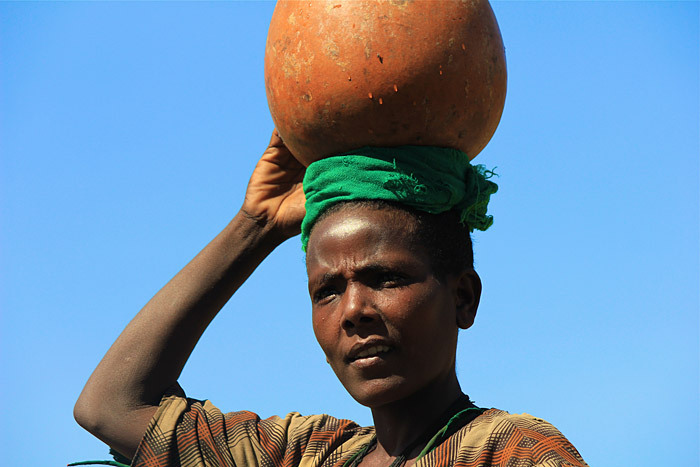 Axum’s history dates back 2,500 years and is one of the oldest towns in Africa. Dating back to a time of dungeons and dragons Axum is rich in myths and legends. 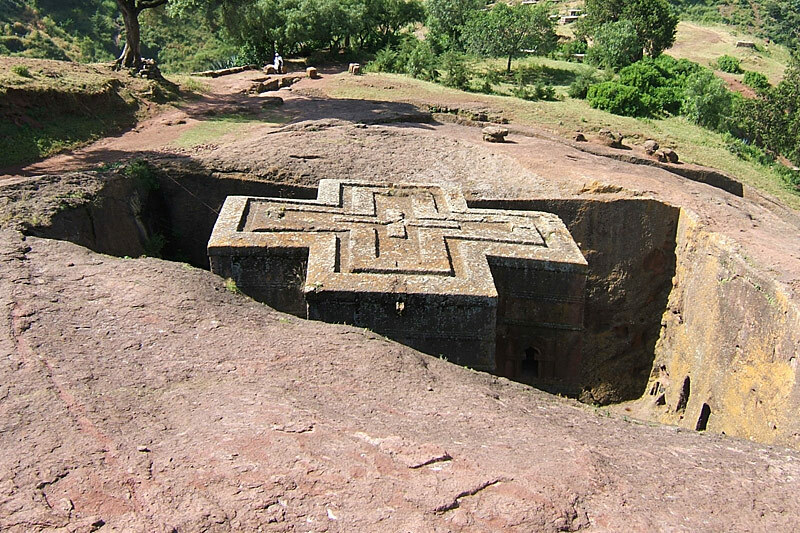 We will explore the Northern Stelae field home to 250 obelisks, believed to be monuments over burial tombs of Ethiopia’s royalty, some date back as far as 300 AD long, before Christianity was adopted. We continue our journey to unravel ancient mysteries as we explore Queen of Sheba’s palace, the Church of St Mary of Zion where it is believed the Ark of the Covenant is carefully guarded and the ancient tombs of King Kaleb and King Remhay. Returning to Addis Ababa we take some time for retail therapy at the Merkato, Africa’s largest open air market before making our way to Mt Entoto for glorious views overlooking the Capital. 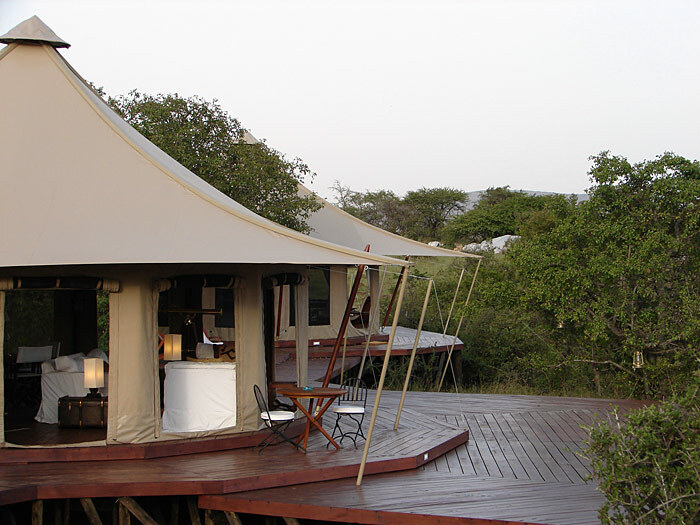 Blend in with your surroundings on a glamping holiday in Africa. 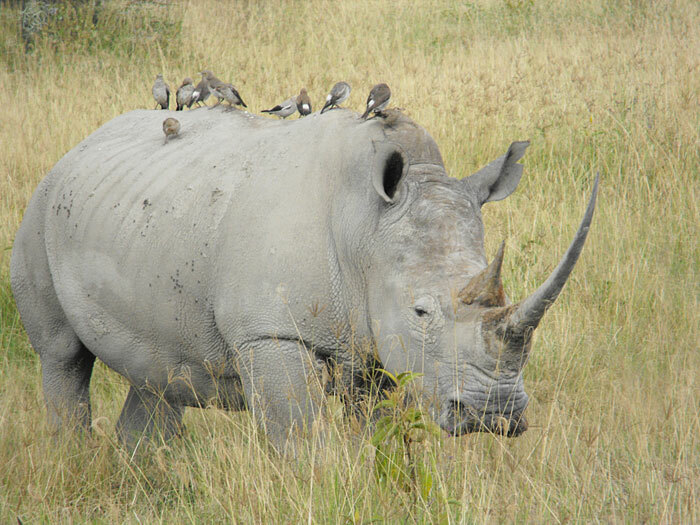 Our flying holiday continues to Nairobi where we enjoy a relaxing day before embarking on our world class safari in the Masai Mara and Naibosho private conservancy. 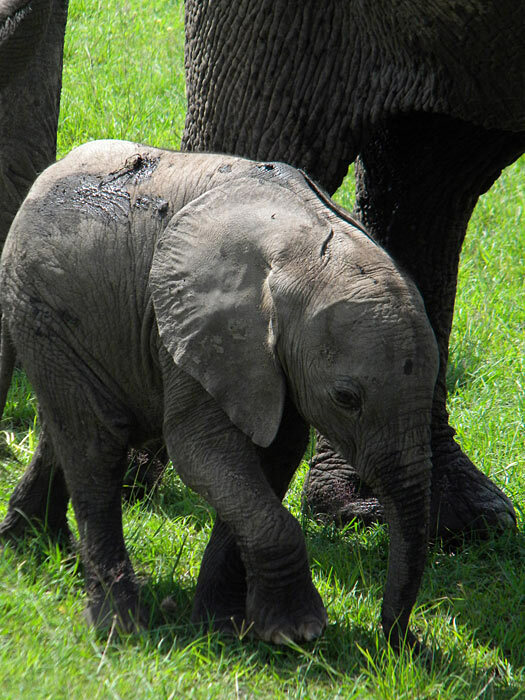 For those wanting to start their safari a little early can visit orphaned elephants at the David Sheldrick Elephant Orphanage, hand feed giraffes at Nairobi Giraffe Centre and visit Karen Blixen Museum, home to the legendary “Out of Africa”. 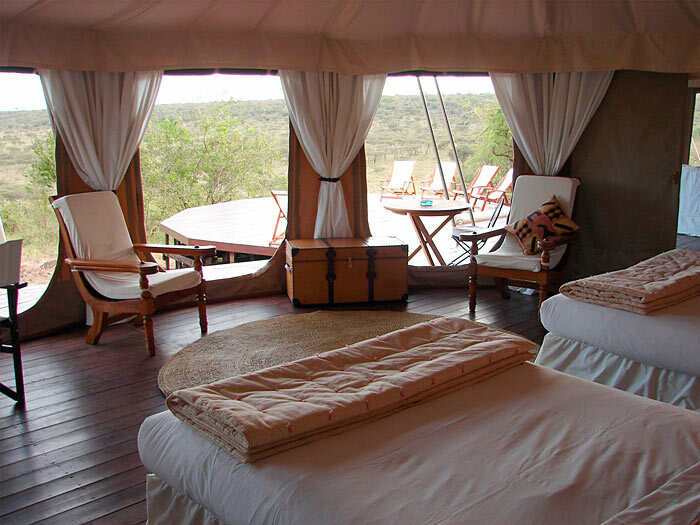 We spend the next 3 days on safari in the Masai Mara National Reserve, Kenya’s flagship conservancy territory. 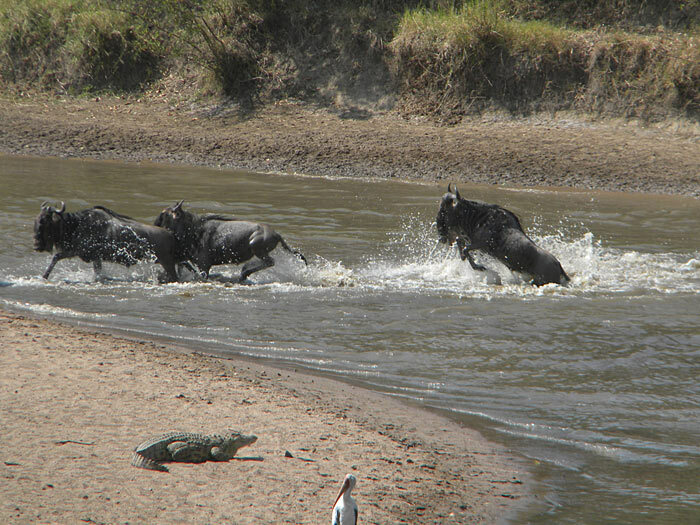 Arriving in the Masai Mara by small aircraft our safari begins before the wheels touch the ground as we sour over herds of elephants, families of giraffe and hippos wallowing in the cool ponds. 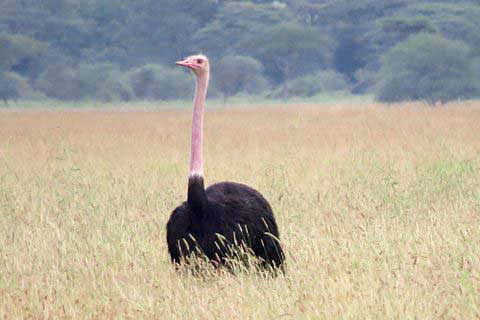 We touch down and are amazed at the vastness and diversity of the landscape. The Masai Mara promises phenomenal big game spotting throughout the day and luxury accommodation at night. Game driving in Naboisha Conservancy in Kenya. 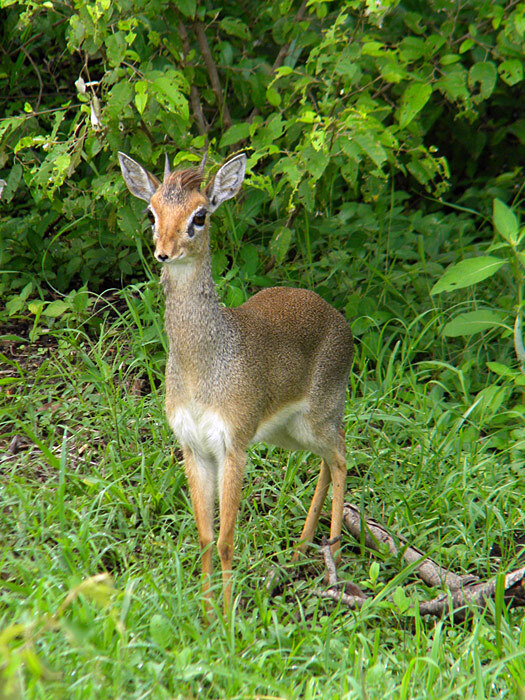 Feeling like an intrepid traveller we go in search of wildlife with our professional guide, throughout our time we hope to see a plethora of African game like cheetah cubs learning to hunt, buffalo calves playing in the mud, lions on the hunt; impala cracking their horns against one another as they practice their fighting skills, mongoose trawling the ground looking for tasty bites, hyenas scouting for tonight’s meal and Nile crocodiles sunning themselves in the blissfully warm afternoon sun as well many other memorable wildlife moments. 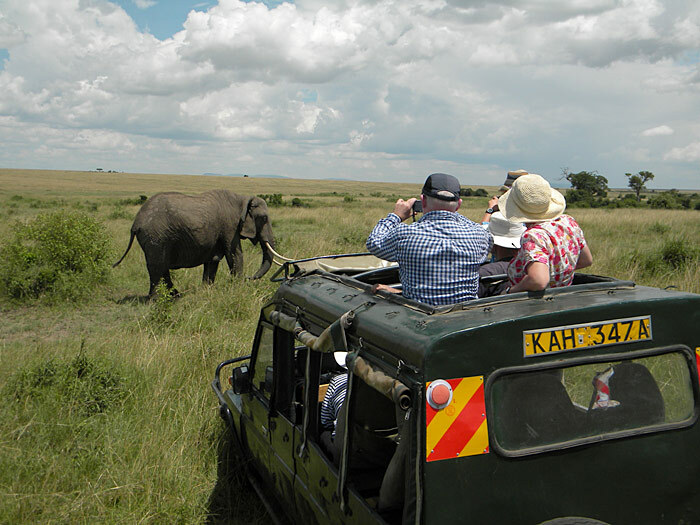 We embark on a final game drive before boarding our short flight back to Nairobi and transfer to our hotel accommodation. 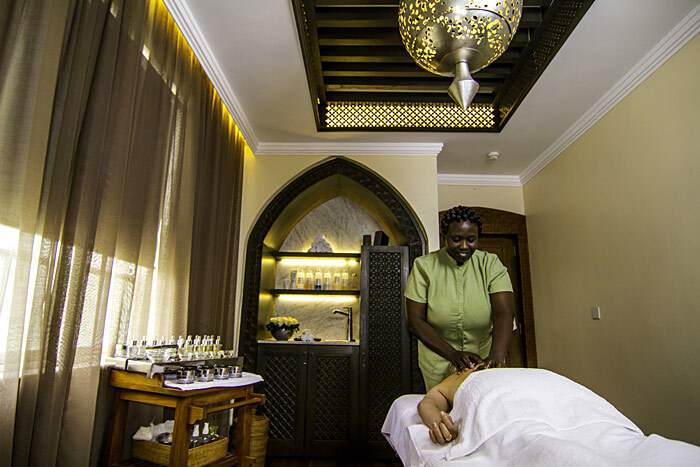 The afternoon is free to relax in the pool, take a spa, workout in the gym or explore the many tourist attractions around Nairobi. 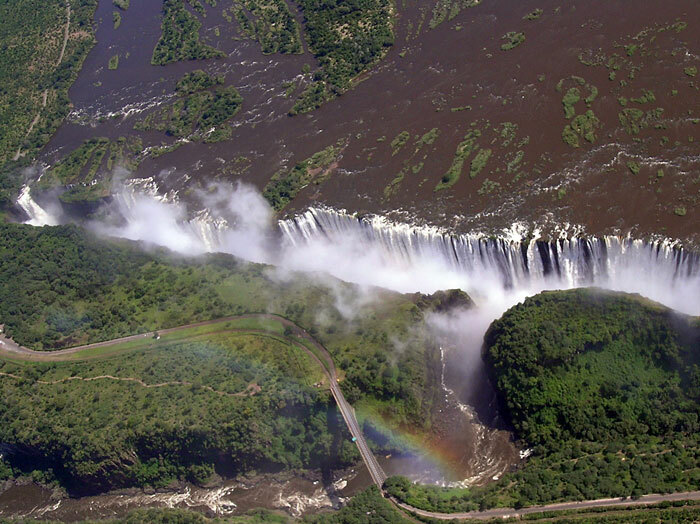 A rainbow completes the beauty of Victoria Falls even during low water. 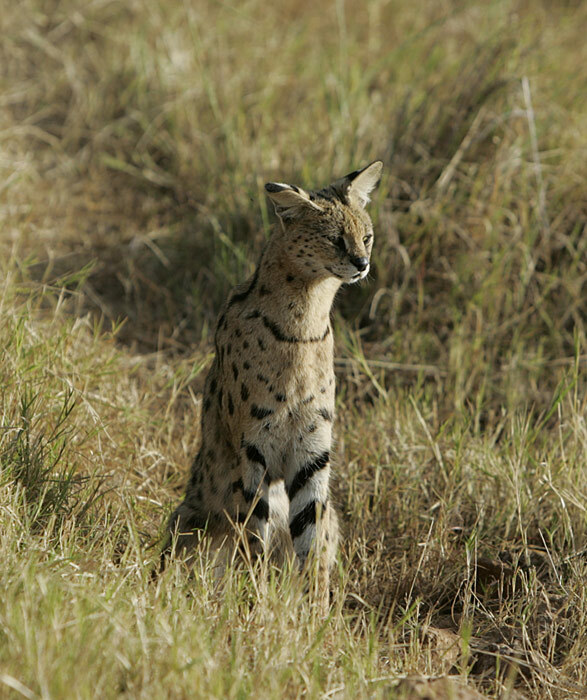 Saying our farewells to Kenya we continue our journey to Livingstone in Zambia, home to the mighty Victoria Falls. 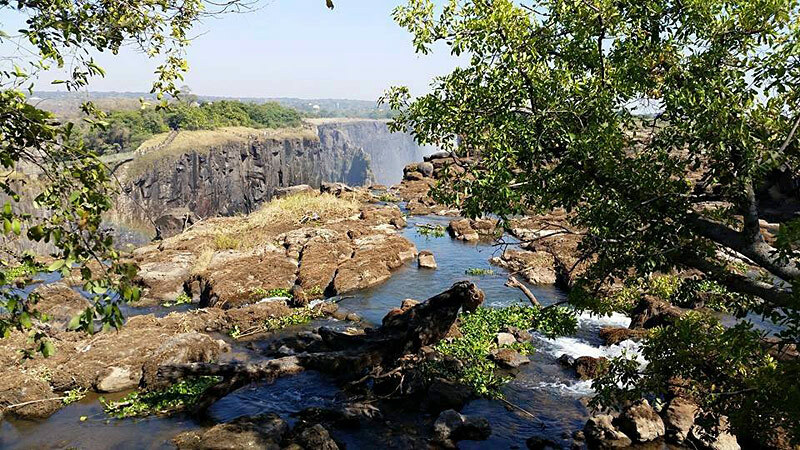 Over the next 3 days we will explore the Victoria Falls, walk with lions, explore Mosi-oa-Tunya NP and fall in love with the Zambezi on a sunset river cruise. 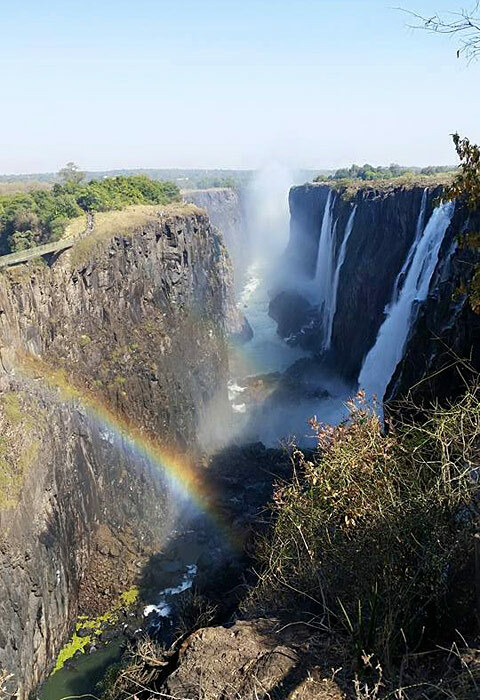 A guided tour of Mosi-oa-Tunya and Victoria Falls will take you on a journey of discovery as we learn about the history of the area and Mother Nature’s incredible handy work. 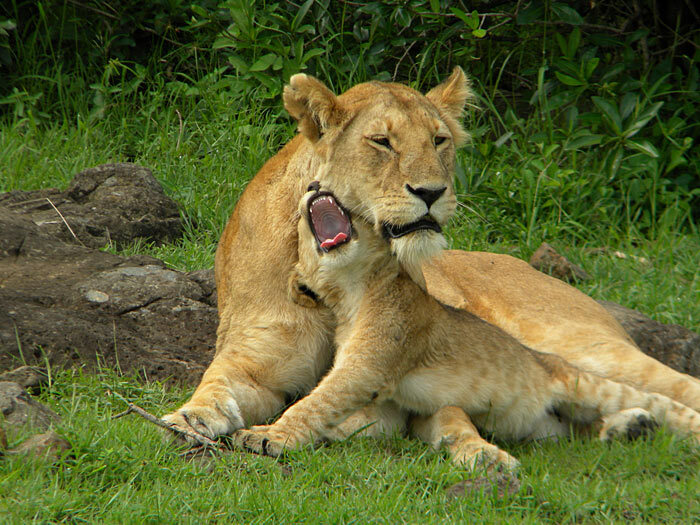 Get the heart pumping while walking next to a young lion and hearing the amazing survival stories these orphans endured while seeing light at the end of the tunnel knowing these majestic creatures will be eventually released back into the wild. 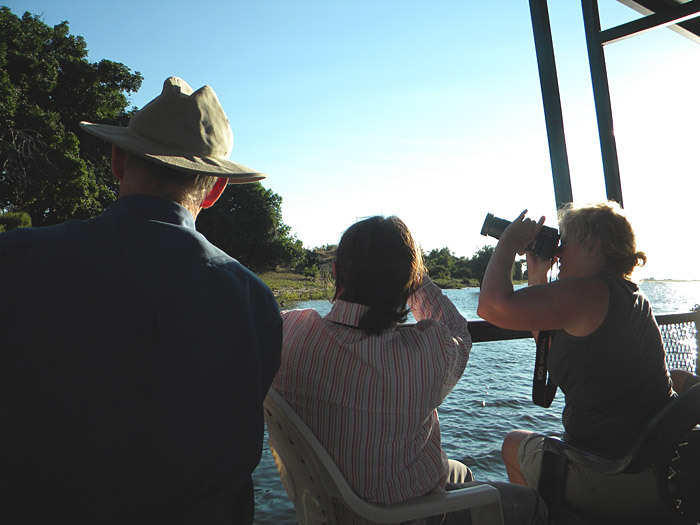 The Zambezi River in the late afternoon is picture perfect; sitting with a sundowner in hand we watch the sun set dramatically changing colours every few minutes from orange to red to purple until it finally disappears into the horizon as wildlife approach the river edge with caution to drink. 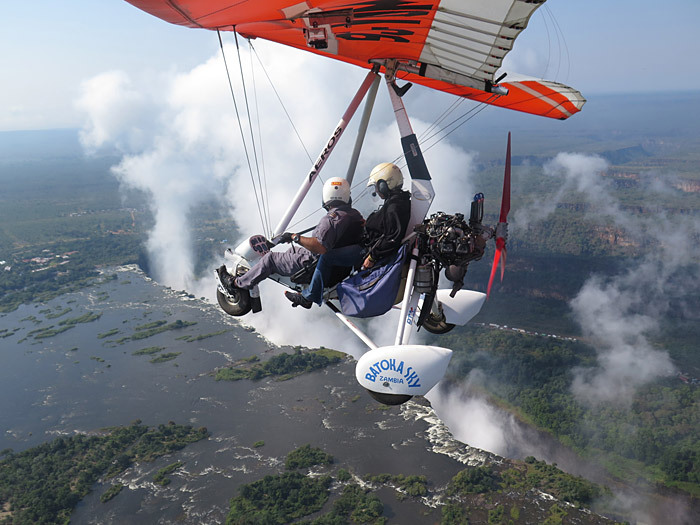 We will also have some free time for those who may want to microlight over the falls, trek Rhinoceros, visit Livingstone Museum, shop at the Maramba market, wander through the streets of Livingstone or take a cultural village tour. 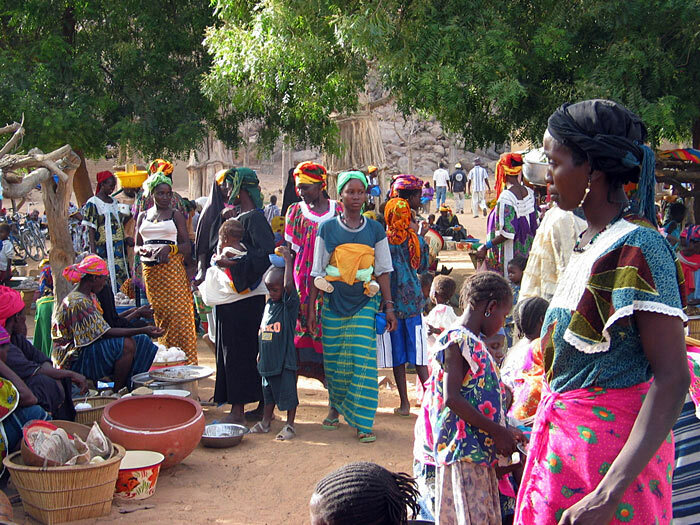 Our time comes to an end as we farewell the African continent and return home.